« Day 34.5 in Beijing: Radio Interview on “Touch Beijing” By Bruce In Beijing! Walking home from work a few days ago. It was quite warm and the weather was beautiful. Probably around 5:30 P.M., Beijing Time. This was the sight that welcomed me on the sidewalk. 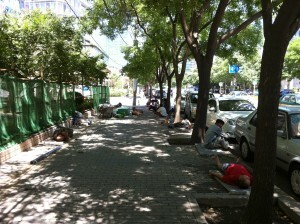 Construction workers sleeping during the day. 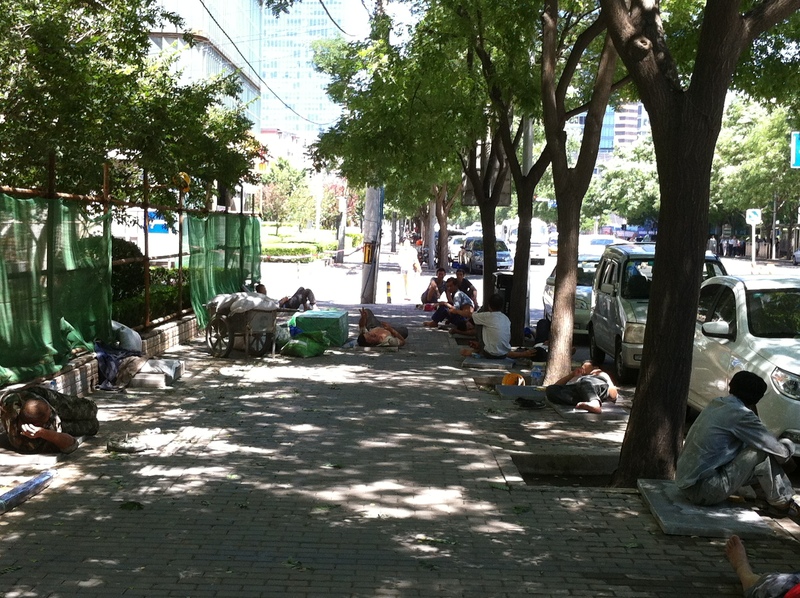 In many American cities, these people might be thought of as homeless. They are simply resting because of the afternoon heat.